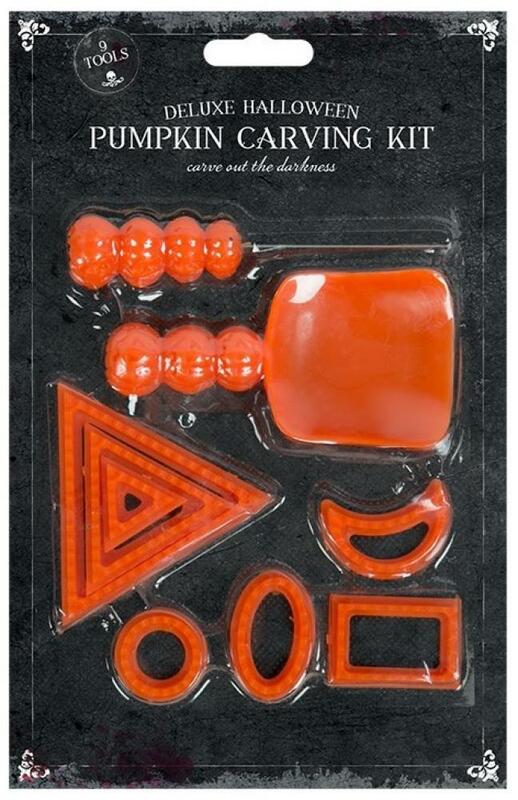 This Deluxe Pumpkin Carving Kit features 9 different carving implements, including a knife, a scoop and a variety of design shapes. The knife and scoop are finished with a fun pumpkin design. Not suitable for children under 6.